Allergies are a nuisance at best, and life-threatening at worst. Whether you suffer from mild allergy symptoms such as runny nose or itchy eyes, or more serious symptoms such as asthma, wheezing, hives, or swelling, you can benefit from visiting a qualified allergist. If you need an allergy specialist in Miami Beach, then consider scheduling an appointment with The Allergy Group. For over 30 years, we have helped people in South Florida overcome all kinds of allergy symptoms. As one of the most experienced groups of allergists in Miami Beach, The Allergy Group has an established reputation as one of the leading providers in South Florida. Our team of ABAI-certified allergists provide clients with the latest allergy testing procedures, so we can identify the exact root of your symptoms. We will then develop a custom treatment plan that will help you manage your symptoms, or eliminate them all together. Our various treatment options include allergy shots, and a variety of prescription medications including Symbicort, Dulera, Prednisone, Ventolin, Proair, Proventil, Advair, Flonase, and many more. Do you have questions about allergy testing? At The Allergy Group, we will answer all of your questions, and give you the best options available. Many allergies can be pinpointed using a simple skin prick or scratch test. During a skin prick test, a solution containing the allergen in question is placed on the skin. A series of small skin pricks allows the solution to enter the skin. Within a short time, a reaction will be apparent if the person is allergic to that allergen. Skin prick tests are a simple, fast, and accurate way to identify allergens. Are you curious about allergy shots? Our allergy doctors are here to help determine if allergy shots are right for you. Allergy shots don’t work for every allergy, but they are very effective for allergies such as pollen, dust mites, and bee stings. Allergy shots are now being used to to treat eczema as well. If you think you’d benefit from allergy shots, contact The Allergy Group today to schedule an appointment with one of our highly-qualified allergy specialists. Allergy symptoms come in many forms, some of which can be life threatening. Don’t wait for your symptoms to worsen. 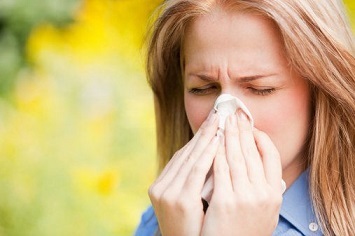 Get help today from expert allergists in Miami Beach. Contact The Allergy Group today.